The beginning of the school year brings changes for everyone. A new grade, new teachers, new friends and for Urban Initiatives, new schools! Each year the Work to Play program expands into new schools giving hundreds of kids the chance to join a team that learns how to play soccer, eat healthy and increase their social and emotional learning. We are officially halfway through the Spring season and the Work to Play Cup is rapidly approaching. Here are a few words about our newest schools, Lee, Faraday, Lorca, Jordan and Bateman! Lee Elementary of the West Lawn neighborhood is in its first Work to Play season, but you couldn’t tell by watching this group of students in action! Anticipation for the season to begin was high at Lee and the students have responded in a big way bringing passion and dedication to each practice the last four weeks. Soccer is a favorite sport among most kids at this school, but previously there was only teams for 6th to 8th graders. The Work to Play team provides a perfect opportunity for young students eager to get on the field. 2nd grade teacher Coach Kate Ballauer leads Lee, she also coaches the 6th-8th girls team and played soccer on the collegiate level as well. 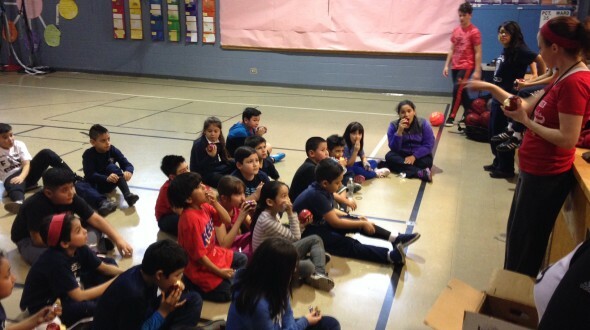 Coach Kate sets the tone for her new team bringing great enthusiasm to practice and does an excellent job of tying in health & character topics with the soccer curriculum. She knows how to get across to her students and they respond to her in a very positive way. The Lee soccer team is off to a great start and we expect great things from this group going forward! 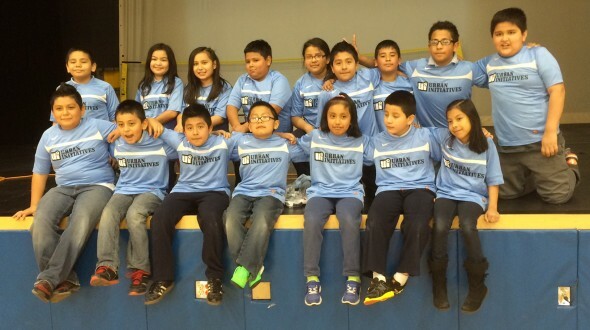 Faraday Elementary in East Garfield Park, is thrilled to join the Urban Initiatives family. 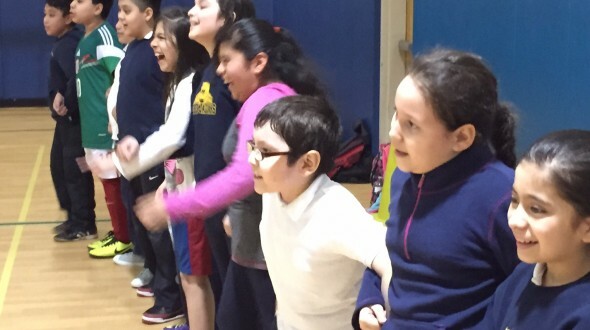 Kicking off the Spring season, the Faraday Falcons have already shows tremendous commitment and enthusiasm by practicing before school and by engaging in discussion around teamwork and physical activity. Coach Maloni, Coach Groves, and Coach Deese lead the Faraday soccer team and are most excited to travel with their team to game days this season. The Faraday team enjoyed their first field trip this Spring by attending a Chicago Cubs game. 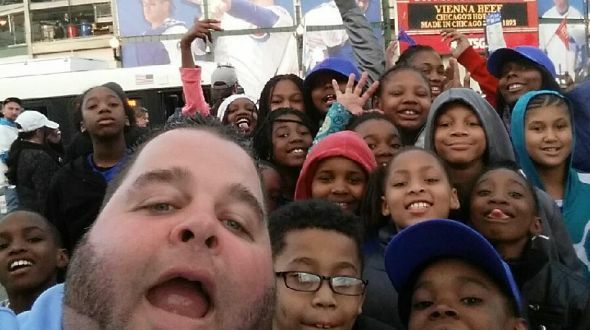 For many of the kids it was their first ever trip to Wrigley Field. Lorca Elementary is located in the Avondale neighborhood. Our On Site Program Director is Coach Fred Rodriguez. Coach Fred is already familiar with Urban Initiatives because he was once an Assistant Coach on the Jahn Work to Play team. Once Coach Fred began teaching at Lorca he knew Urban Initiatives’ Work to Play team would be a great fit at his new school. Practices are high energy and the kids are loving being a part of a team. They can’t wait for their first ever Friday Game Day during week 6. They have great health and character discussions at the end of every practice and the best part, according to the kids, is getting their healthy snack at the end of practice! They go to their classrooms awake, energized and ready to learn! Urban Initiatives has moved North! 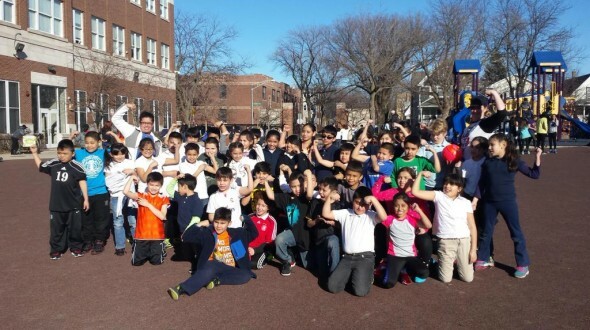 This spring Urban Initiatives opened its 1st Work to Play school in Rogers Park at Jordan Elementary. The team, composed of 2nd-4th graders, is as diverse as the surrounding community, and Coach Beard and Coach Adan have great relationships with the players, helping to foster their development. Each practice the team comes with a ton of energy, especially when it’s outside at beautiful Pottawatomie Park. The kids on the team have felt really special being a part of a team, it’s boosted their confidence and allowed them to put in more effort while in the classroom. Each time Urban Initiatives starts at a new school, the students, staff, and parents are filled with anticipation and enthusiasm. This was truer than ever at Bateman Elementary School. Once the coaches began signing up eager 2nd-4th graders, the roster quickly capped out at 38 students who consistently put their all into each and every practice. After only 5 weeks, these soccer players already fancy themselves as superstars. The Bateman team is also a group of extremely quick learners. It took them about 30 seconds at the first practice to learn that TEAM stands for Together Everyone Achieves More. Now it’s the go to slogan for life on the soccer team. Go Bateman Blaze!